These simple and beautiful kitchen organization ideas are clever and suit every taste and budget. They can help and inspire you to create your dream kitchen. Check out! 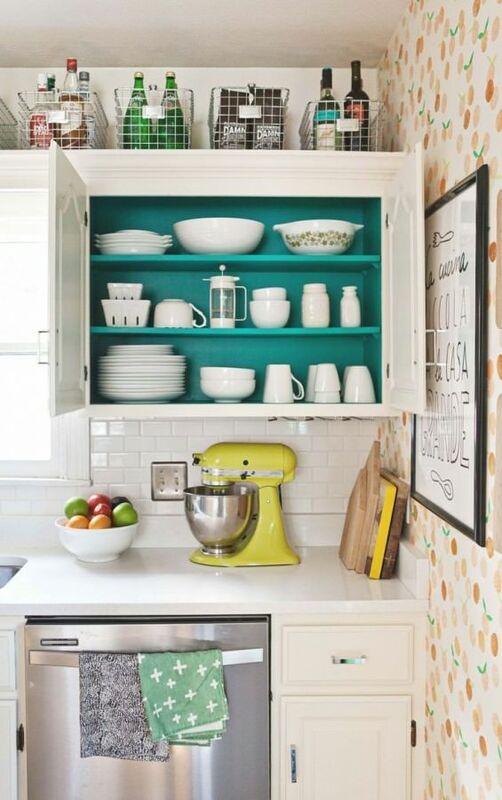 Add a pop of color inside the cupboards via A Beautiful Mess this will give a cool look to your kitchen. 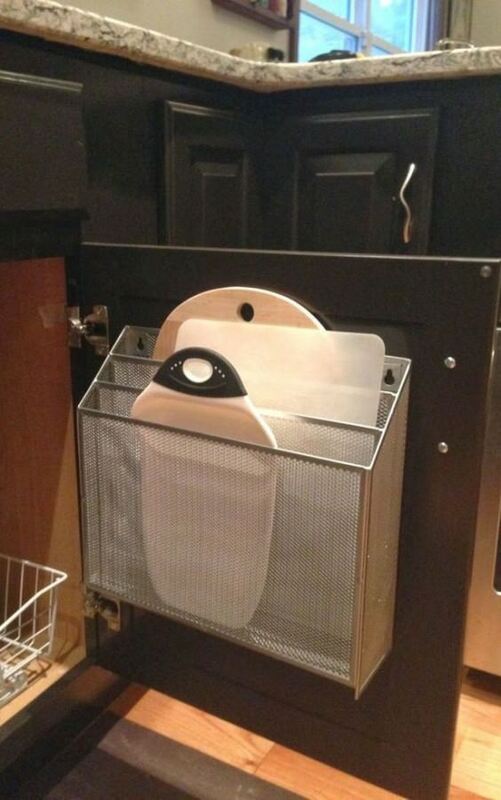 Want to keep your chopping boards accessible. 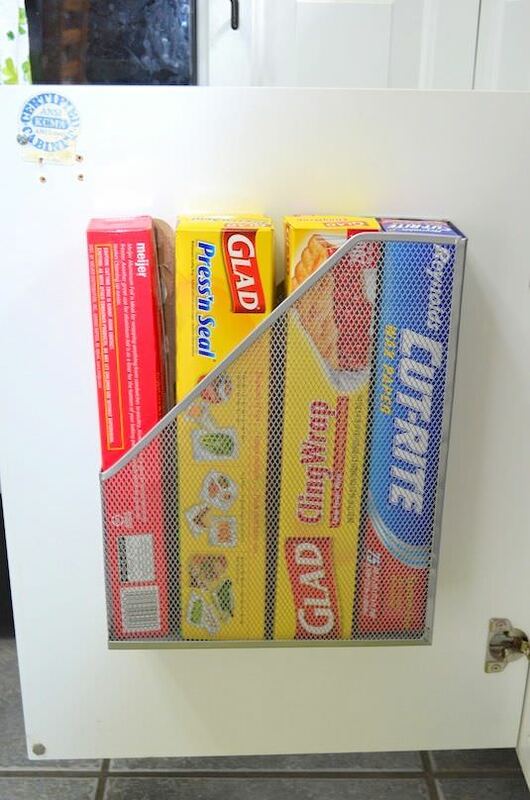 This paper organizer used to hold chopping boards is perfect for you. Visit The Organized Housewife to read the full post.